JACKSONVILLE, Fla. - Dec. 13, 2018 - PRLog -- The community of Tamaya marks another milestone with the recent closing of its first retail space. Harbour Retail Partners has purchased the land for the development of Tamaya Market, which will be anchored by Sprouts Farmers Market. Site work and construction of the 75,000-foot shopping center will begin in the first quarter of 2019. Phoenix-based Sprouts, which will encompass approximately 30,000-square-feet, is anticipated to open in the first quarter of 2020. "We selected a grocer that was compatible with our vision of Tamaya," said Mori Hosseini, Chairman and CEO, ICI Homes and Managing Partner of Tamaya. "We wanted to bring a grocery retailer to complement our community, and Sprouts is a destination offering healthy, fresh, natural and organic foods. The addition of Sprouts and other retailers will provide our homeowners and the community with an experience unlike any other. If you've been to a Sprouts, you know it's more of an experience rather than just a trip to the grocery store." Tamaya is a master-planned community located at Beach and Tamaya boulevards, east of Kernan Boulevard, offering an unmatched combination of location, natural beauty, Mediterranean-style architecture and exceptional amenities including a magnificent 10,000-square-foot Resident's Club. Tamaya has experienced significant growth and success since launching less than five years ago with more than 1,000 single-family homes built. The Tamaya Market will encompass approximately half of the available commercial/retail space at Tamaya. Harbour Retail Partners, based in Wilmington, NC, with an Atlanta office, is developing the Tamaya Market. In addition to Sprouts, the specialty retail center will feature approximately 45,000 square feet of commercial space including restaurants, fitness and convenience service providers. "We are experiencing significant interest from local and regional tenants interested in the Tamaya Market," said Randy Kelley, Principal, Harbour Retail Partners. "The site's access, combined with its highly visible location and ICI Homes' luxury lifestyle at Tamaya, offers great appeal to prospective tenants of the Tamaya Market." Colliers International Northeast Florida, led by Nancy Sumner and Katy Figg, will manage leasing for the Tamaya Market. 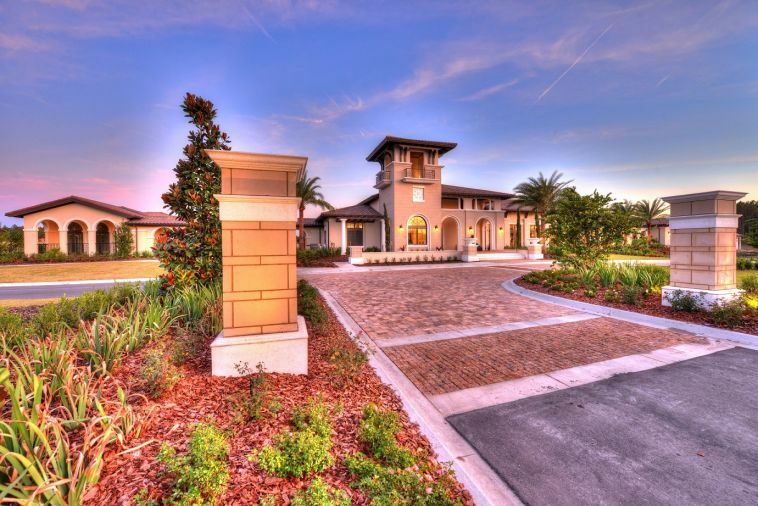 At Tamaya, ICI Homes offers a selection of distinctive, flexible and customizable home designs with European architectural influences and spectacular outdoor living spaces. ICI Homes' model row features furnished and decorated model homes that showcase Tamaya's architecture and design style. Tamaya offers proximity to top-rated Duval County public schools – Kernan Trail Elementary, Kernan Middle School and Atlantic Coast High School – as well as private schools, universities and colleges. Residents enjoy easy access to the Jacksonville area's corporate, medical, retail and entertainment centers with the beach six miles away.